Yep indeed , very sad indeed, lets hope it can be rebuilt , like York minster. Very sad, but I think they’d rather it was rebuilt like it was, rather than looking like York minster. By coincidence, I was listening to Olivier Latry's recent album 'Bach to the Future' (sounds much better than the title) when I saw the news. I couldn't believe it. Latry and Dubois must be in tears now, although the irreplaceable Cavaillé-Coll organ is situated at the west end and mostly away from the current extents of the fire. I'm struggling to keep them away myself having visited the cathedral and heard the marvellous organ many times. To hell with Brexit, this will take a massive, international effort to rebuild. The correct architectural approach will take much time to determine. As a former student of the burnt-out GSA, I will be interested to see how that will take shape. As a young graduate, I spent six months climbing the north-west tower of St Pauls daily after John Paul Getty 'bestowed' $5m on Richard Chartres, the Bishop of London - and on a whim - to clean the West Front, despite other more pressing works. The sense of connection with Wren's stonework and with the nation's heritage was immense. Can you imagine how the people of France feel tonight? 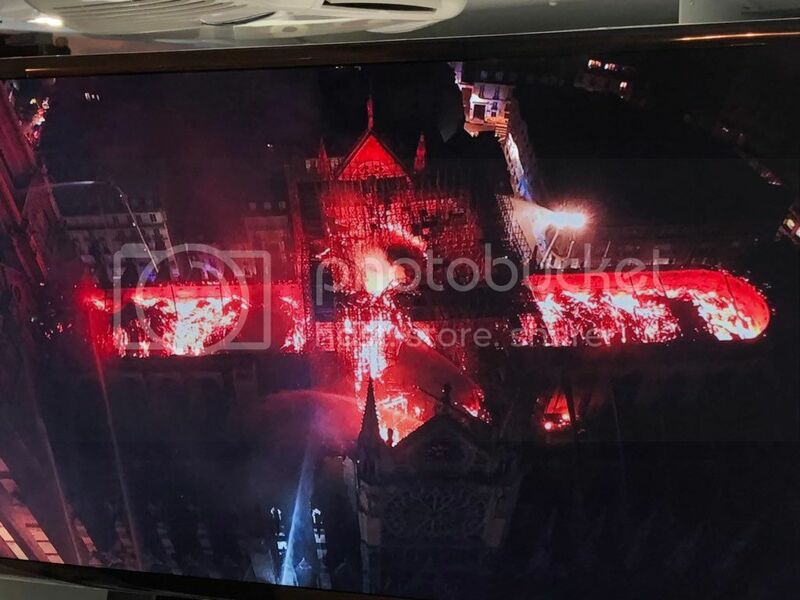 Edit: I've just seen the most recent drone images showing the building's roof engulfed by fire from the chancel to the west towers. This is an absolute tragedy. I doubt the organ can be saved now, although it is but a small piece of what was one humankind's finest achievements. Around 200 years to build, a few hours to destroy. Thoughts are with the Parisians. Very very sad, I remember popping in and being amazed. I do have a hunch as to what caused the fire . Very, very sad. A beautiful piece of history that will never be the same. It is a very beautiful place indeed. It's not surprising some of the stone vaulting has failed with heavy oak timbers falling on to the very thin skin, but I'm amazed how much of the fabric has survived, including the organ - a minor miracle. The fire fighters appear to have been extremely careful in the way they used water. One picture I saw this morning of the remains of the scaffold tower over the crossing after the fire was extinguished seems particularly poignant. There is a perfect inverted vee remaining, a ghostly after-image of the roof. One Parisian cathedral architect interviewed today seemed to be saying it will be restored as closely as possible to how it was. I disagree with that approach, as I see these as living buildings that periodically experience catastrophes but which usually rise up again, often in altered form as a consequence of more evolved building techniques. The spire which collapsed so dramatically was after all built as part of Viollet-le-Duc's nineteenth century restoration. Mediaeval gothic architecture was all about maximising the glorification of God by creating seemingly impossible structures and light-filled spaces with the best materials and technologies that were available at the time. I wonder what the master masons would have made of our modern materials and abilities. I suspect they would leap on the opportunity to make their great creations more luminous than they could ever have imagined. I'm not religious, but it seems fitting as Easter approaches there is already so much optimism amid the devastation and understandable outpourings of grief.